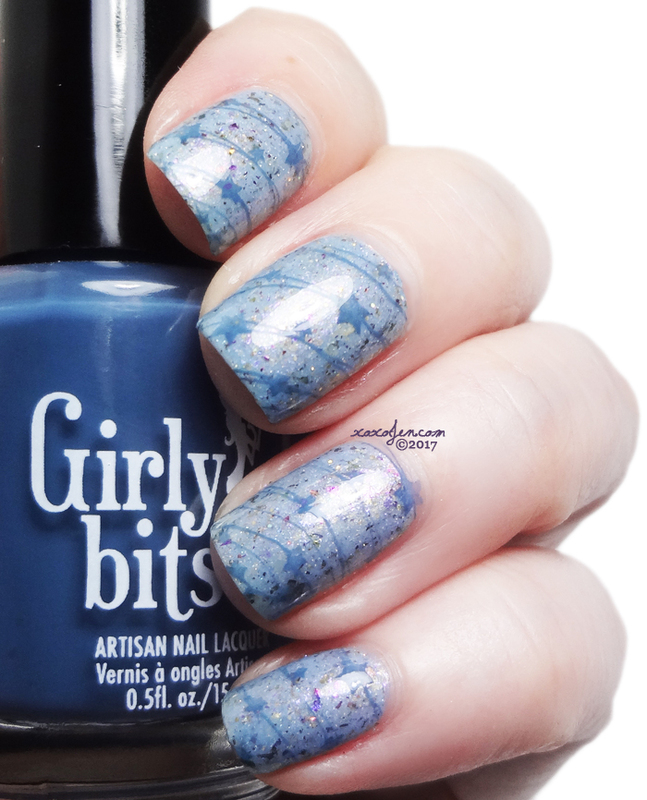 The Girly Bits group custom for Fantasmic Flakies on facebook is Winter Whispers, and it is beautiful! It is exclusive to the group and available for the month of December. 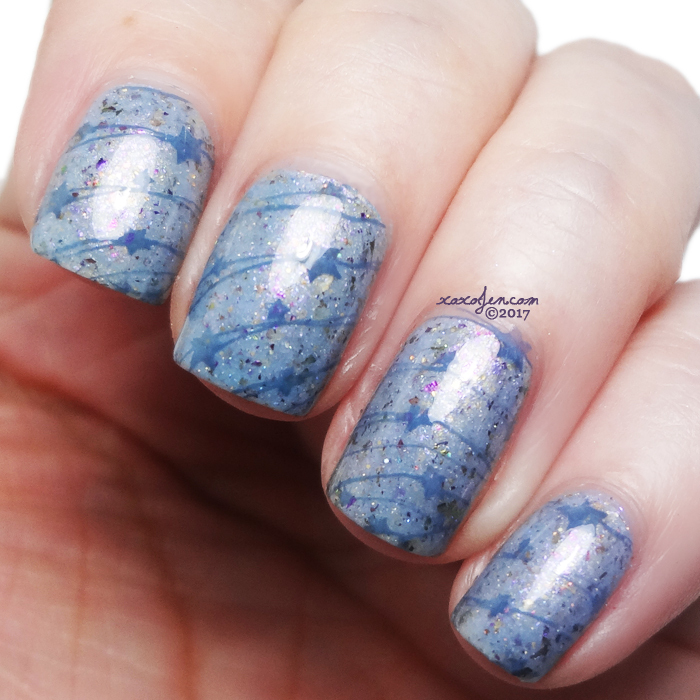 Winter Whispers is a lovely icy blue crelly base swimming with pink to gold shifting shimmer, microscopic holographic glitter, gold flakes, and a multitude of multichrome flakes in violet, blue, green, purple, and gold. I wore two coats with KBShimmer Clearly On Top topcoat. The formula was fantastic. I did a little stamping nailart too! I used Girly Bits Denim & Diamonds to stamp the star strands. That polish is gorgeous and I really like the stamping too.